You may have noticed that the posts on our site have become infrequent, which is putting it nicely. We have all the typical excuses; a new puppy which can't go on long hikes, working too much, coming down with 12 colds in 4 months.... the usual life things. One of the other things we had been doing on a lot of our weekends was driving around Colorado looking at vacant land. We had dreams of buying something to one day build our dream cabin. We spent what amounted to days getting lost around Salida and Buena Vista trying to find lots with addresses like "TBD #1". Nothing would stop us from finding that 10-acre lot with Collegiate Peaks views that was in our price range! 10 times out of 10 we would get there and 9.9 of those acres would be cliff face or a ravine between two lots we were dreaming of. Building a cabin is not something I would consider in my wheelhouse. The more research I did the more overwhelming the idea became. There is a world of water rights, site work (driveway, clearing a building site, putting in septic, drilling a well), covenants, county and city laws that just kept piling up. Not to mention Lot #1 could have a well straight from a crystal mountain spring, while Lot #2's well across the way is pumping salty almost undrinkable water. When you spend that many hours in the car you talk about all your dreams for the land, the ideal situations, and also what you would sacrifice. Just like any good house hunting show. What we came to realize was that we talked a lot about how cool it would be to rent this, still imaginary, cabin during the winter since we don't ski. 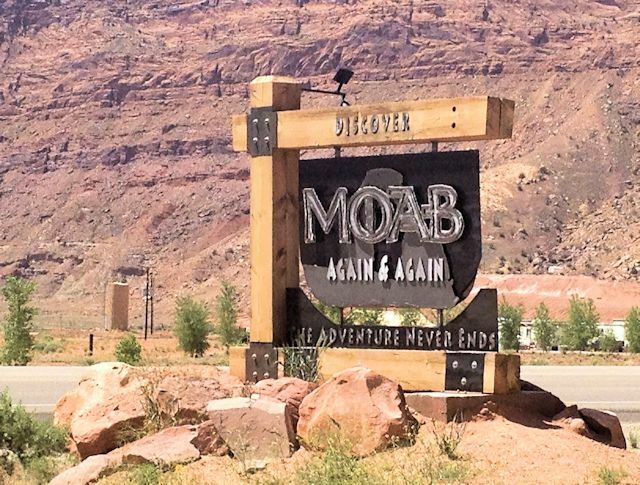 We would use it in the summer and eventually if the location was good enough we could make enough to buy a place near Moab. So we started our search. After only a month and a half we found something that seemed too good to be true. Just 15 miles outside of town sits a tiny cabin (~400 sq feet) on 6 acres. It needs some love no doubt, but the views make sanding and painting in 110 degree heat a pleasure.